Samsung S4 Mini Review – How Does It Compare? Bigger isn’t always better, but that doesn’t mean that smaller is either? With that in mind we took a look at the Samsung Galaxy S4 Mini. The little Samsung is a smaller version of the popular Samsung Galaxy S4, though is not merely a shrunken version of its big brother. It’s lower in price, but doesn’t have the same processing power of the original, lacks a sharp screen and doesn’t come with all the gadgets and gizmos of the S4. However, it’s placed in the mid-range phone market, so no one would expect it to. So, let’s see if it can compete with the HTC One Mini and new, more expensive iPhone 5C? The device comes in with a 4.3inch display and this allows it to fit nicely between the fingers. However, it does tend to feel quite plastic, thanks to the mixture of the shiny, almost slippery surface and the white colour. There are some plastic chrome accents, but these do tend to fail to make it look any the more promising in these stakes. It does feel durable though and could take a whack or two we’d imagine. It’s also light, coming in at only 107g and is only 8.9mm thick – making it slimmer and lighter than the One Mini and 5S. 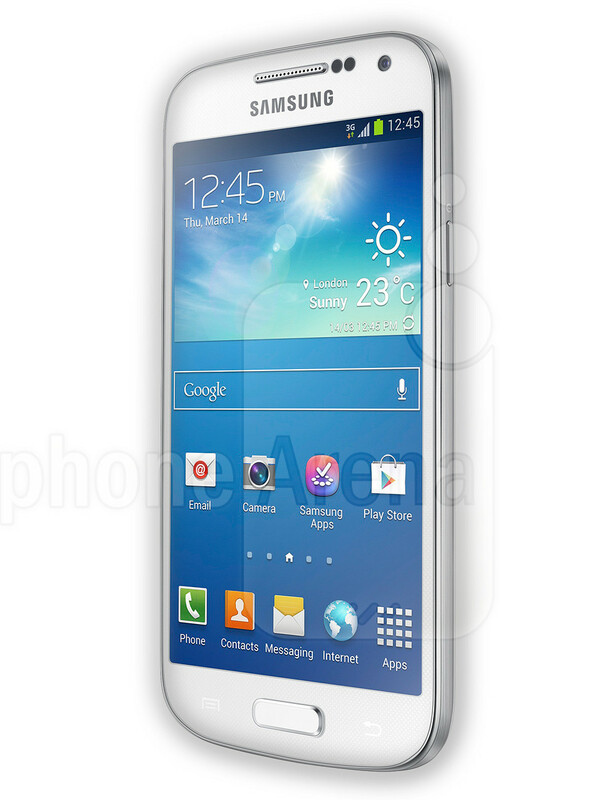 The phone comes with Android 4.2.2 and Samsung’s own TouchWiz overlay, which can be a personal preference or not. It is a lot less prominent than on the previous versions and doesn’t tend to be as overly childlike in its icons – for us a good thing. We used a range of apps on the device; found the TouchWiz social media interfaces quite good when updating statuses, tweeting and even when using our MySocialagency Facebook apps. Samsung has kept its IR software in the S4 Mini, meaning within a few minutes you can use the device to control all your other remote controlled devices. It’s a great addition. It also comes with the Group Play and S Translator app, though no cardio apps like on its big brother. It also has NFC, WiFi, LTE, Bluetooth and either 8GB or 16GB of storage, as well as the choice to add external storage if required. The display is a 4.3inch Super AMOLED has a 540x960p resolution, which is quite good to be honest. It’s quite bright and colours tend to look great, blacks are deep and the only thing we would say is that there can be a little bit too much saturation in the images. However, videos and images look great. Even though the phone is not nearly as powerful as its bigger brother, it does offer plenty of oomph still. The device comes with Qualcomm’s Snapdragon 400 processor, which runs at 1.7GHz. In addition, there is a generous 1.5GB of RAM, which helps keep things smooth and keeps gaming running without any real drops in frame rate. The quality of calls was good too – an essential for a phone. The battery lasts for around 9 hours of browsing and 11 hours of call time, so you should have plenty of power for a full day and a little left over for emergencies. This is most certainly something we appreciated and good to see on this midrange phone. 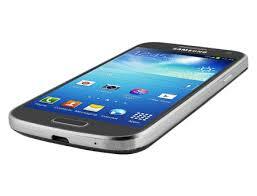 The Samsung S4 Mini comes with a good 8mp camera on the back and a 1.9mp offering on the front. Pictures come up quite detailed and for casual images it’s quite good. The device comes with all the software additions you would expect, including burst mode and shoot and sound. Video is taken at 1080p and is also quite decent. The Samsung S4 Mini is a good device in most ways, but does have a few little niggles. It’s mainly a good phone, though is only an S4 in name and aesthetic alone. It is quite different in terms of specs to the larger device, something either the 5C or the HTC One Mini aren’t, and it’s the worse for it and is surpassed by both.